Prairie Village, Kan. (March 26, 2019) – Four years after The Body Lab opened its first Midwest location in Leawood, the widely popular fitness studio officially announces plans to open a second Kansas location. The Body Lab Prairie Village will make its debut late spring, occupying a 1,600-square-foot space in The Prairie Village Shopping Center at 71st and Mission Road. Founded on the approach of internationally recognized fitness expert Sebastien Lagree, The Body Lab specializes in the Lagree Fitness method, a high-intensity, low-impact workout done on the patented Megaformer – the ultimate training machine. Lagree has gained international recognition since he opened his first fitness studio in September 2001 and licensed nearly 350 studios worldwide since that time. The regime of choice by Hollywood’s elite, celebrities who have transformed their bodies following the Lagree Fitness method include Meghan Markle, Michelle Obama, Sofia Vergara and Kim Kardashian, to name a few. One of the first Lagree Fitness studios to open in the Midwest, The Body Lab offers a 50-minute, total-body workout that combines Pilates, resistance training and cardio to strengthen, tighten and tone the body. The central piece to The Body Lab workout is the state-of-the-art Megaformer – an amped up redesign of the traditional Pilates reformer. Invented by Lagree, the Megaformer is spring-loaded with resistance, customizable and highly adjustable, offering more than 1,000 total exercises with modifications that encourage maximum muscle exertion while applying minimum impact on the body. The Body Lab Prairie Village will feature a total of 12 M3S Megaformers available for small group classes and one-on-one personal training. In The Body Lab’s group class environment, Lagree-certified trainers lead students through more than 25 different Megaformer exercises, each one emphasizing cardio, strength, balance and flexibility. The Megaformer’s adaptability creates a tailored experience unique to each student. Because of this, The Body Lab workouts can be modified to accommodate all fitness levels and special populations. The Body Lab’s two Kansas locations are locally owned and operated by Mike and Jena Green. The new, Prairie Village studio will be The Body Lab’s fourth location nationwide and is the second location in a larger expansion plan for the Midwest. The Body Lab Prairie Village is anticipated to open late spring 2019 at 11 On The Mall, Prairie Village, Kansas 66208. Multiple levels of membership are available for purchase and all first classes are free of charge. 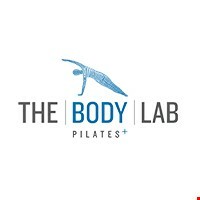 For more information on The Body Lab, please visit www.thebodylabus.com, or call the Leawood studio at (913) 808-5180. The Body Lab, LLC, is an official licensee of Lagree Fitness. It was founded in 2010 by Jenny Cushing and Rachel Forman in Phoenix, Arizona, where the company still has two locations. The Body Lab opened its first Kansas location in December of 2014 at Town Center Crossing in Leawood as one of the very first Lagree Fitness studios in the Midwest. In late spring 2019, The Body Lab is opening a second Midwest location in The Prairie Village Shopping Center in Prairie Village, Kansas. The Body Lab’s Midwest studios are locally owned and operated by the husband and wife team of Mike and Jena Green. For more information on The Body Lab, visit www.thebodylabus.com, or call The Body Lab Leawood at (913) 808-5180. For more information on Lagree Fitness and Sebastien Lagree, visit www.lagreefitness.com.